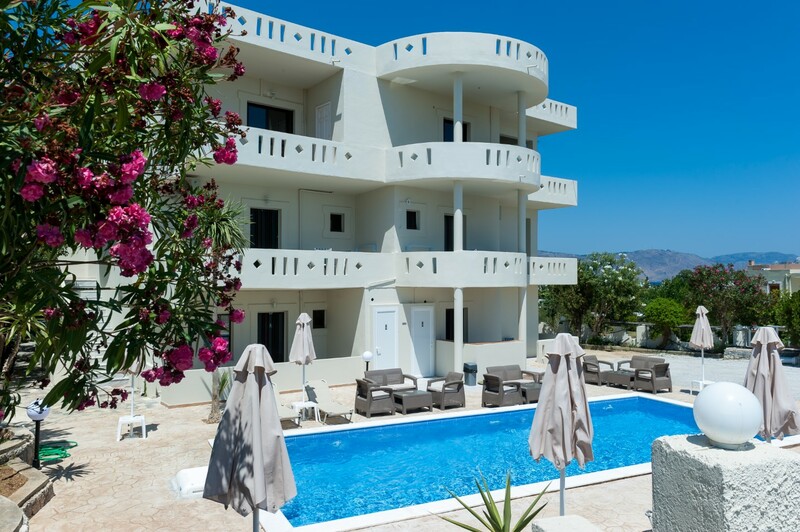 MUSES STUDIOS is 4 keys Apartment hotel, completely renovated and reopened July 2018, located in a quiet area in the village of Kavros just 800m. far from the amazing sandy beach of Georgioupolis. 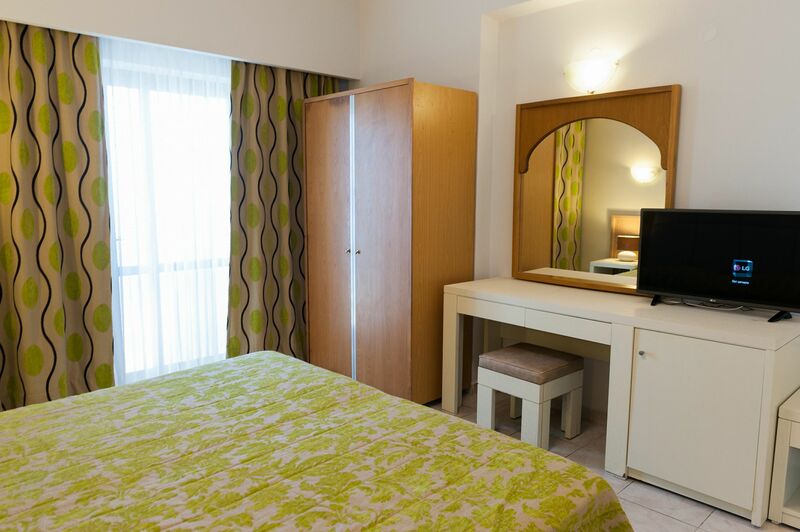 The studios and apartments are located on the ground floor, first or second floor, for 2, 3 or 4 persons, offering all the modern amenities to make your holidays care free and simply unforgettable. 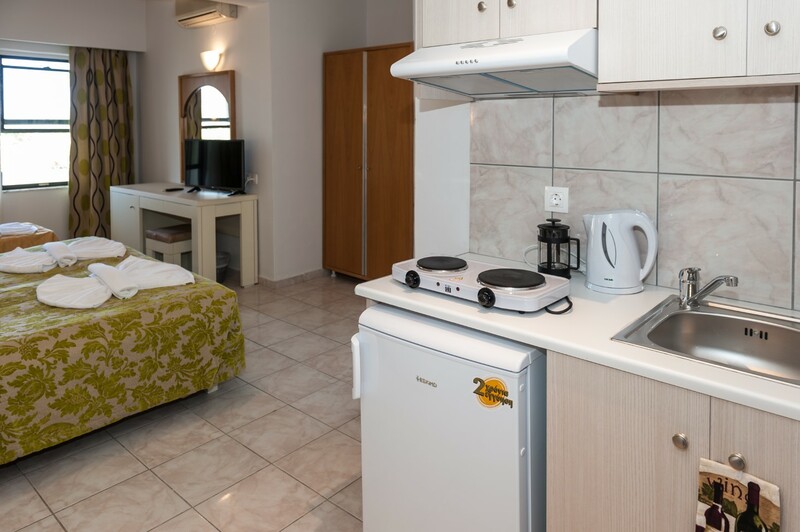 All of them offer a kitchenette with a refrigerator and a stove top, free WiFi and a flat-screen TV with satellite channel and a furnished balcony. The studios features a swimming pool with a poolside bar. 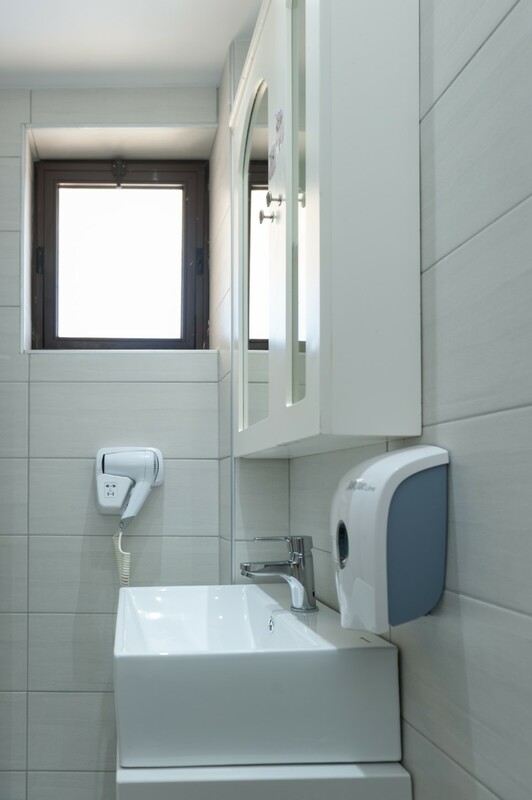 Free WiFi in public areas and a free parking area for the guests. 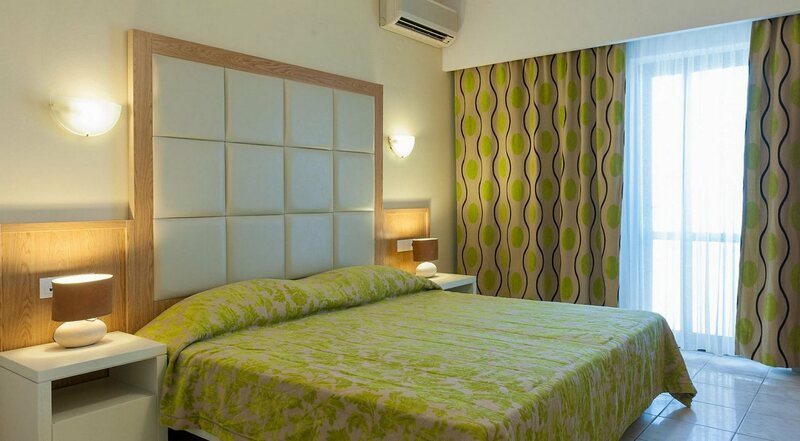 The studios are 100km away from Heraklion airport and 50,3km away from Chania airport. The city of Rethymnon is 18km and the city of Georgioupolis is 3km away. The Studio with Garden View (in total 10) for 2 persons are approx. 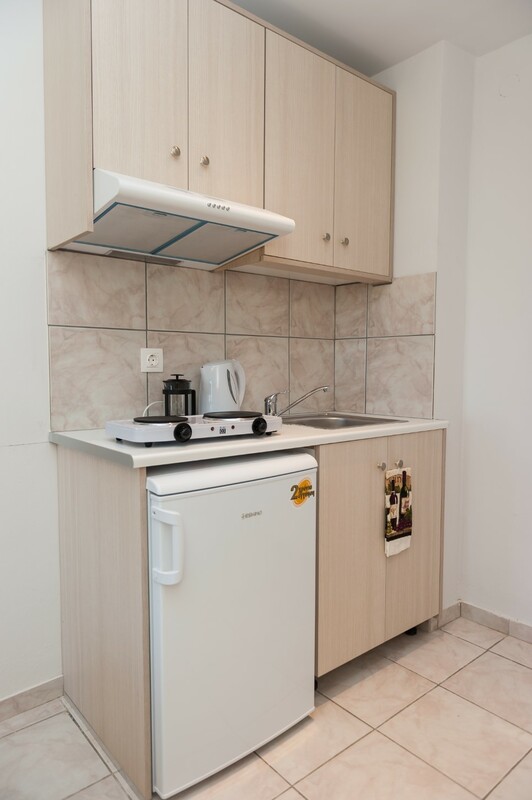 25m2 located on the first floor or second floor. The Studio with Sea View (in total 10) for 2 persons are approx. 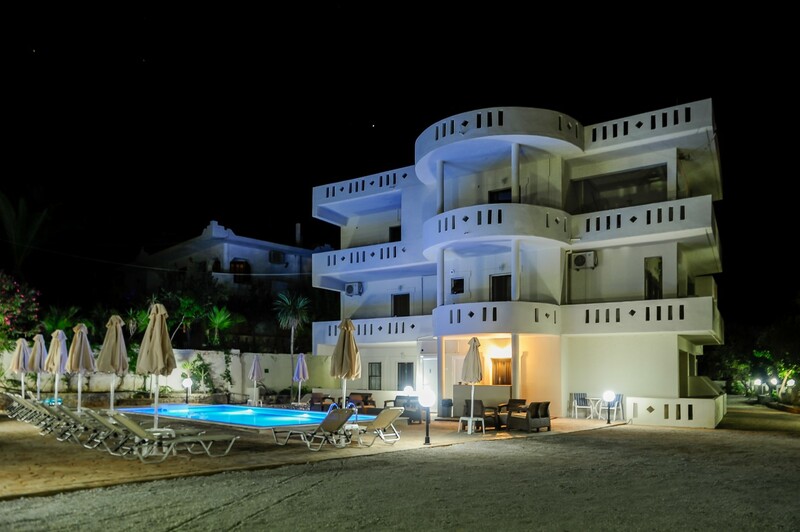 25m2 located on the first floor or second floor. 2 Bedroom Apartments for max 4 persons are approx. 32 m2. 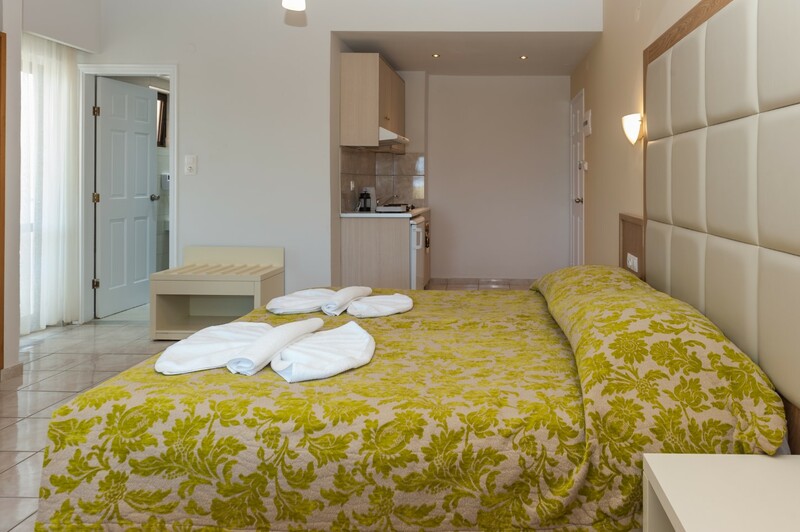 The apartment is consisted of the master bedroom and a second area for 1-2 persons separated by a door. 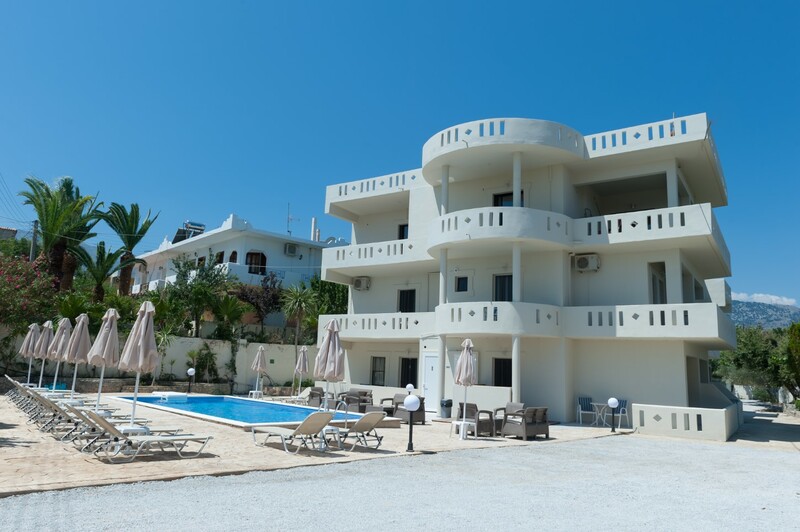 They are located on the second floor with amazing view to the sea and the landscape of the village Kavros.